I've actually only seen a few Disneynature films, but I enjoyed Monkey Kingdom much more than last year's Bears. The monkeys were adorable, but the movie made it into more of a story than Bears did, and there are even some humans in this film too, although only as background players, as the monkeys are the stars of the show. The film focuses on Maya, who is a "lowborn" monkey, meaning that her life is hard. She must forage for food and isn't allowed to climb the huge fig tree in her community - that privilege is reserved for the "highborn" monkeys, including The Sisters, a group of three red-faced monkeys who rule the community, and their Alpha male, Raja. Maya meets a mate, Kumar, and later gives birth to a baby boy, Kip, which means she must work even harder to make a life for the two of them; it doesn't help that Kip gets into a fight with Raja and is thrown out before the baby is born. This is the story of a lowborn monkey "making a life" for herself and her newborn, and doing so in smart and ingenious ways. The baby monkeys in this film were so, so cute. Like I mentioned before, I really liked how they made the movie into a story, rather than just "here are some monkeys, let's observe." The narrator is Tina Fey, as well, and, unsurprisingly, she brings a sense of humor to some of the scenes; there's a scene where the monkeys forage for food inside a school of sorts, which was actually very funny based on her narration. Yes, see this movie. 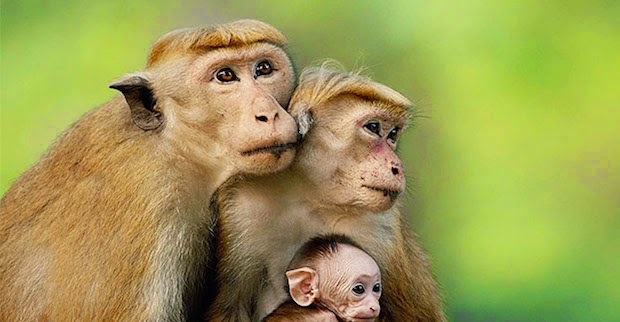 It takes place in Sri Lanka, and like most of the other Disneynature films, the scenery is gorgeous - the monkeys play in a forgotten temple area, and the scenery is just as much a character in the film as they are. Because it's a documentary, and I'm guessing the camera crew are not allowed to interfere in nature, there are a few deaths in the film, but they are done very well (you don't really 'see' much of them) and because of that, I'd say the movie is appropriate for those ages 4-5 and above. Monkey Kingdom is in theaters today, April 17th, and is rated G with a runtime of 81 minutes. 4 stars out of 5.